League expansion news and rumors pop up regularly and it is hard to keep track of who said what, where and when. Midfield Press has created the Expansion News & Rumor Tracker as a monthly installment following the word on the web about possible future North American Soccer League (NASL) and United Soccer League (USL) clubs. Note: With the announcement of USL D3 and the National Independent Soccer Association (NISA) we’re shifting our focus to include coverage on possible teams for those leagues, while scaling back Major League Soccer (MLS) and Canadian Premier League (CanPL) coverage. We will still include a high level overview of what is going on with those leagues, but point you to other sources for greater depth. The last six weeks have seen most of the expansion news come from the United Soccer League and the National Independent Soccer Association. USL officially announced a 2018 franchise in Las Vegas, as well as 2019 franchises in Birmingham and Austin. Austin will be a relaunch/rebrand of the Austin Aztex franchise. The USL teams in Las Vegas and Fresno announced their names, the Las Vegas Lights FC and Fresno FC, respectively. All three of the USL teams joining for 2018 will play in AAA baseball minor league park, with Nashville SC announcing their home will be First Tennessee Park. It was previously announced that Las Vegas will play at Cashman Field, and Fresno will play at Chukchansi Park. Austin will start in their own stadium, being built on the site of the Circuit of the Americas, and Birmingham’s venue is yet to be determined but the downtown AA baseball stadium is probably the best option in town. As USL grows across the country, its links to minor league baseball seem to increase. NISA made a major announcement of its first eight applicants. Chattanooga FC and Miami United FC are among the existing teams that have applied to join NISA. Charlotte FC is a new team, and the NISA entries in Milwaukee, St. Louis and Omaha will be new teams. 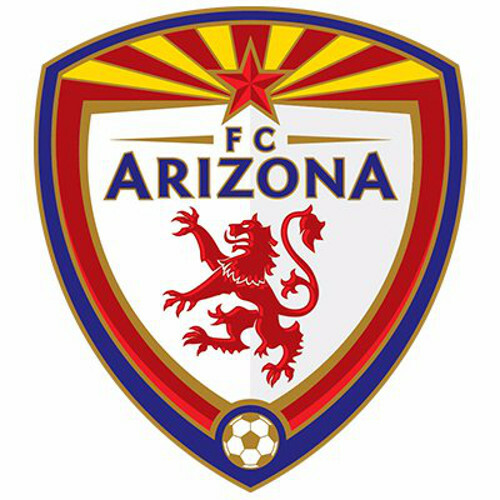 Although not officially confirmed, FC Arizona is likely the Phoenix applicant. It is unclear whether the Connecticut club is one of the state’s existing NPSL teams, or also a new team. While these clubs are the first official NISA applicants, they are not necessarily the 8-10 teams that are targeting a 2018 start. While Charlotte FC is hoping to start in 2018, Chattanooga FC is looking at a 2019 start based on statements from the club’s owners. NISA has seven additional Letters of Intent beyond the eight applicants, and has spoken with investors in a total of 45 markets. Detroit City FC is confirmed to be in serious talks with NISA (and NASL), but has not yet formally submitted an application to the league as it focusing on finding the right investor match for the club. August was a relatively quiet month in terms of NASL expansion news. The big news in August was the official confirmation of the Orange County expansion team’s name, California United FC. Atlanta is understood to be the eleventh team that Watkins referenced, and Detroit CIty FC owner Todd Kropp told Crain’s Detroit about the team’s discussions with NASL. It’s worth noting that Rishi Sehgal is attributed with saying that NASL will be adding 4 clubs for next year in that Crain’s article, though I am taking it with a grain of salt as it is not a direct quote. New Jacksonville Armada owner Robert Palmer told Neil Morris on the Inverted Triangle Podcast that the league would be adding 3-4 new teams for next year, so the fourth team seems not to be finalized yet. The other candidate to join NASL in 2018 would be the New Orleans Jesters, who we are told gave a well-received presentation at the NASL’s Board of Governors meeting in late June. While we understand Detroit’s key issue to be finding a the right investor match, New Orleans’ key issue is understood to be venue. Detroit and New Orleans could just as easily join NASL in 2019 if those issues are not able to be satisfactorily resolved soon. Whether any teams will be leaving the NASL is unclear. The end of July saw the San Francisco Deltas publish an appeal to fans that raised questions about their viability for next season. The specter of the Canadian Premier League starting next season raises a shadow of doubt about whether FC Edmonton (as well as the USL’s Ottawa Fury) will be enticed to join CanPL if it starts in July of next year, whether they would wait until 2019 or later. Defections to USL seem unlikely at this time, however. 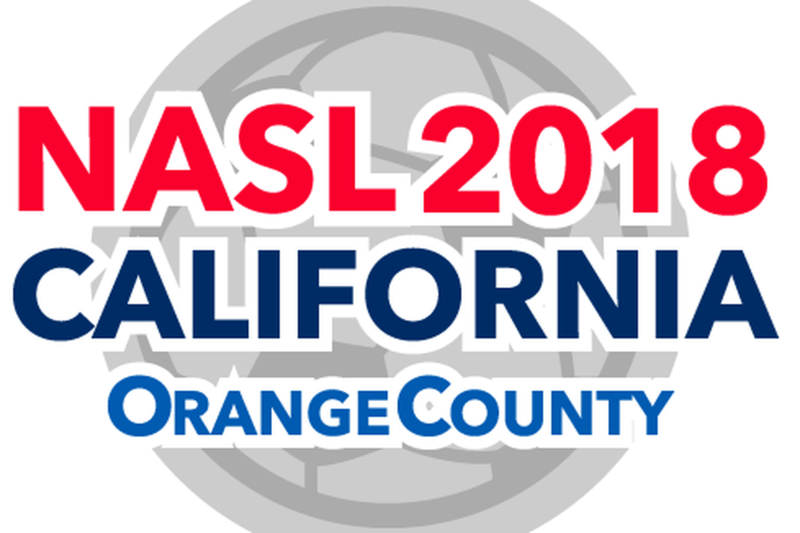 Summary: The North American Soccer League formally announced Orange County as its first expansion franchise for 2018. In August, it was confirmed that the club will be called California United FC. The team will play its home matches in Titan Stadium in Fullerton. The OC NASL club will likely maintain ties with the L.A. Wolves, using them as a reserve team similar to how NASL teams use NPSL clubs, as well as looking to the UPSL as a source of talent. Wolves owner Yan Skwara is expected to continue to run the UPSL team and serve as the commissioner of that league, which recently implemented promotion and relegation. Eric Wynalda signed on to manage the Wolves in the run-up to the US Open Cup, and Collins confirmed that Wynalda is the favorite to coach California United. “Our full intention is to have Eric be part of the team for a long period of time. We’re excited to have someone of Eric’s caliber as part of the NASL effort,” Collins told Midfield Press back in February. Collins also gave a glimpse into how California United plans to build their roster using a combination of local talent and veterans of NASL, MLS or Liga MX. “We plan on bringing 6-8 of the starting players that are presently on the Wolves into the NASL squad. We would continue to look at the UPSL as place to recruit players from. “We’re also going to look into the college ranks, at PDL and NPSL rosters. I am very well connected into a lot of the local college programs, as is Eric. Between Cal State Fullerton, UC Irvine, USD, San Diego State and others, I am very confident that we will be able to get a lot of quality local players. California is bigger than a lot of European countries. I believe we can find a lot of quality players here in the state. It won’t be easy, but it is a great resource. September 2017 Update: California United FC was confirmed as the name of the Orange County NASL team, and its official website and social media accounts were launched under that name. More on California United FC: Midfield Press’ Interview with Peter Wilt and Michael Collins and the California United official site. 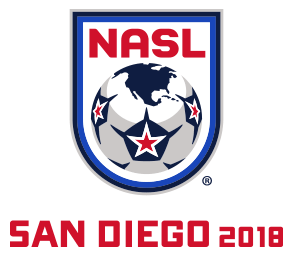 Summary: The North American Soccer League announced San Diego as its newest club in June 2017. The investors include professional soccer stars Demba Ba, Eden Hazard, Yohan Cabaye, Moussa Sow as well as agent Alexandre Gontran, marketing executive Vagno Chandara and local San Diego sports executive Bob Watkins. Depending on whether the stadium is ready for the opening of the NASL 2018 Spring Season, the club may start off in the University of San Diego’s Torero Stadium before moving into its own facility. The choice to build the stadium in North County gives in the team some separation from the Mission Valley area in which the San Diego MLS group plans to build, should it be granted an MLS franchise, as well as from the influence of Club Tijuana in LigaMX. In July, Bob Watkins told the Inverted Triangle Podcast that a team name, staff and coaches should be announced within a 30-60 day timeframe. In addition to the Inverted Triangle Podcast interview with Watkins, to get a flavor of Demba Ba’s vision for the club, Dike Anyiwo’s interview with Ba is a must listen. September 2017 Update: In an interview with Fox Sports, Bob Watkins talked about the complex that the group is looking to build in North County. Watkins mentioned that the club intends to launch a women’s team within the next 12-18 months, as well as a lower division men’s team that San Diego NASL can loan players to. Fox Sports stated that Populous, who is building the stadium, is basing it on another of their projects, AMI Stadium in Christchurch, New Zealand. Watkins tightened the range of the stadium’s seating capacity in this interview to 10,000, expandable to 12,500. At the time of the interview, San Diego NASL had narrowed the location for the modular stadium down to 2-3 pieces of property and Watkins forecasted an announcement within weeks. An announcement on the team’s name is also expected to be coming soon. More on San Diego NASL: SanDiegoNASL.com and Midfield Press’s interview with Peter Wilt on San Diego. 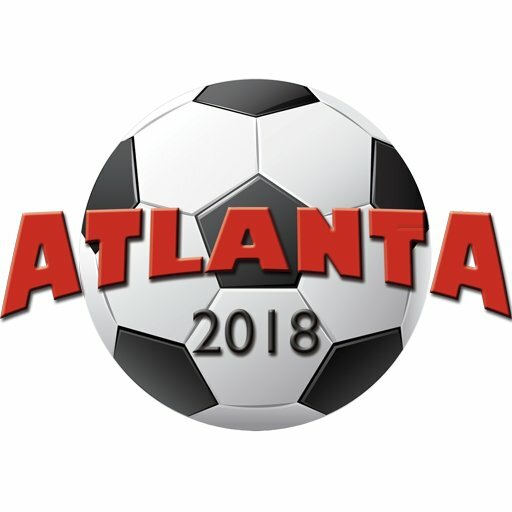 The Atlanta group launched its official website at ATL2018.com, and shared details on its stadium complex plan. The $200M complex itself will be called Atlanta Sports City, and will consistent of two stadiums, soccer fields for youth tournaments, a 204,000-square-foot indoor athletic facility, restaurants and a hotel. The larger stadium on the site will debut in 2019, and be known as Stonecrest Stadium. The prospective NASL team would play in the smaller stadium for the 2018 season, with the prospective NWSL team joining for the opening of the larger stadium in 2019. While some have questioned the wisdom of launching a second professional team so soon after the debut of MLS’s Atlanta United FC, the Atlanta group has strong support from community leaders in the eastern Atlanta metro area. James Tsismanakis, executive director of Discover DeKalb, said “Atlanta Sports City is the definitely going to be one of the biggest economic development projects around.” The AJC reports Atlanta Sports City is projected to draw 3 million visitors annually, create 2000 jobs and has an estimated annual economic impact of $197M. Midfield Press understands that Atlanta is very likely the eleventh team that Bob Watkins referenced as approved at the June Board of Governors meeting. The Atlanta group is targeting a Spring 2018 debut. September 2017 Update: NASL officials continue to reference 3-4 new teams added for 2018. Midfield Press’s understanding is that Atlanta is the solid third team being added. More on the Atlanta NASL: ATL2018.com and Midfield Press’s interview with Trey Brantley. 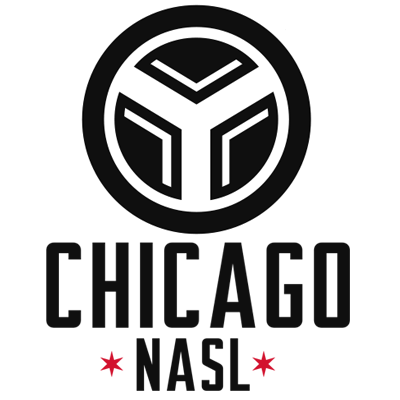 Summary: The Chicago NASL effort is still alive and well even with Rebel Nest LLC’s focus on launching NISA. Rebel Nest LLC is working with Club 9 Sports to bring an NASL team to Chicago. The idea is for the team to play in the city of Chicago, which would allow it to provide an urban alternative to the suburban MLS Chicago Fire. The key issue needing to be resolved before Chicago is accepted into NASL is finalizing their venue. More on Chicago NASL: http://www.chicagonasl.com/ and Midfield Press’ interview with Peter Wilt. Detroit City FC has been in “extensive talks” with NASL, according to the club’s co-owner Todd Kropp, however they are not set on the league. “The soccer landscape in the U.S. continues to evolve every day. There are still a lot of details that need to be clarified regarding the D-2 and D-3 leagues so we can’t really say right now that there’s any particular preference,” Kropp told Crain’s Detroit Business. Detroit City drew 7,533 for their NPSL national semi-final against Midland-Odessa. Summary: Michael Lewis of Big Apple Soccer listed New Orleans among the cities with expansion groups in discussions with the NASL. Midfield Press understands from several sources that the New Orleans Jesters of NPSL are one of the groups pursuing NASL expansion. While the Jesters are more likely to join NASL in 2019, there is an outside chance of them joining the league in 2018. 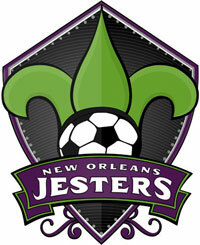 Midfield Press learned that the New Orleans Jesters were at the NASL semi-final game in Indianapolis last season, though at the time the Jesters denied it was related to NASL interest via an NPSL spokesperson. There are several possible venues the Jesters could use in New Orleans, but it bears keeping in mind that owner Dana Stumpf is in the construction business. Meaning, she could get a better deal than most people on getting a stadium built. September 2017 Update: Midfield Press understands from multiple sources that the New Orleans Jesters were one of the expansion groups that presented at the Board of Governors meeting in June, and that their presentation was well-received. Northern California reporter Evan Ream reported that he has heard the Jesters are looking at joining NASL in 2019, and met with the league recently in Indiana. In their NPSL play, the Jesters were undefeated in the regular season and announced 2,875 in attendance for their NPSL Conference playoff semi-final match, which is an excellent number for amateur soccer. While not quite on Detroit City levels, this is still an excellent level of support for NPSL which demonstrates a good foundation to build on for a pro team. More on the New Orleans Jesters: NOLAJesters.com. 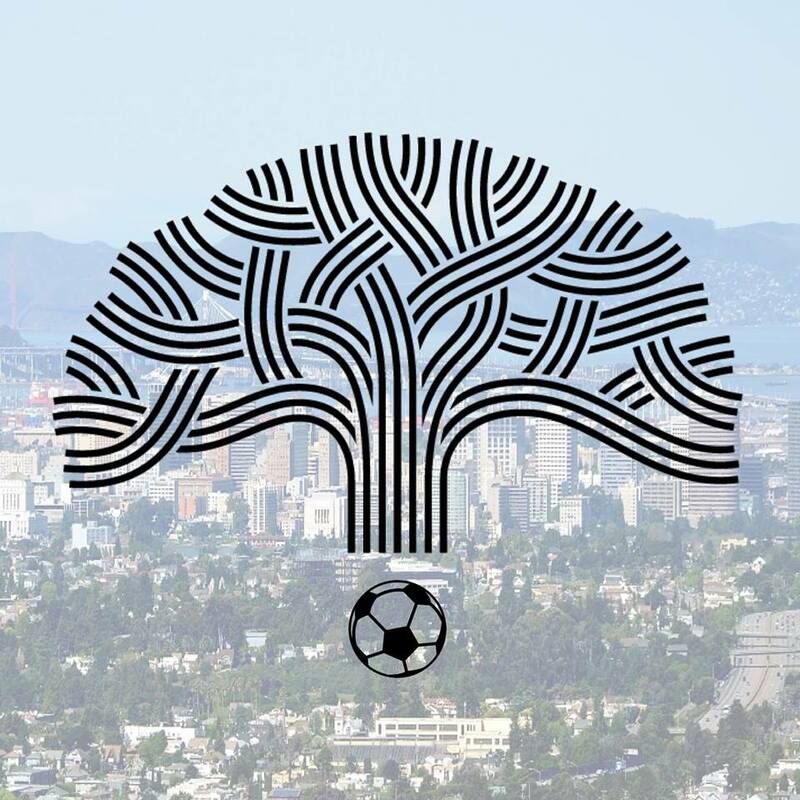 The Oakland Pro Soccer group is assessing venue options in the city of Oakland, as well as league options. They have released a survey at OaklandPro.Soccer., looking for feedback from soccer fans in the Bay Area. Peter Wilt confirmed Club 9 Sports’ involvement with an Oakland/East Bay effort but described it at very early stages. Brian Helmick confirmed that an Oakland NASL group is in the early stages during an interview with Midfield Press before the Cosmos-Deltas game on April 29th. September 2017 Update: The Oakland Pro Soccer effort launched a blog as it prepares to go public. I wrote the first article for this blog, which reviews the past of pro soccer in the USA in general and Oakland specifically, and why the NFL and NBA leaving Oakland makes now an ideal time for pro soccer to move into the city. British tabloid The Sun reported that Celtic FC looked at putting a team in NASL. Boston, Detroit and Hartford were cities Celtic FC considered according to an in-the-know Big Soccer poster. Boston may be blocked due to a marketing agreement between Celtic FC and the Boston Celtics. Celtic Underground reported the club executive Peter Lawwell was involved in talks with NASL. 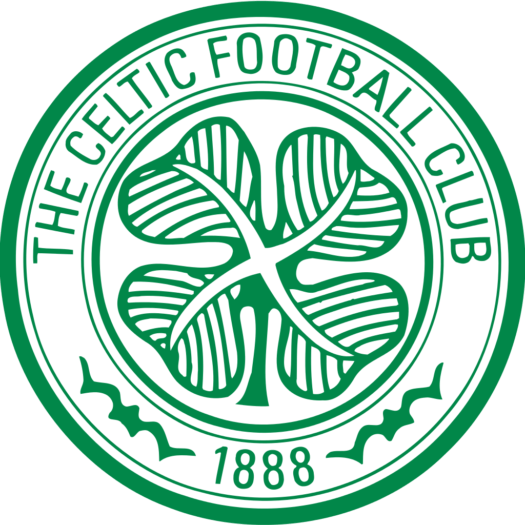 Celtic Underground’s @celticrumours twitter account mentioned hearing talk of Philadelphia and the West Coast as locations the club was eyeing. In 2016, we examined the most logical landing spots for Celtic NASL, however nothing says they will follow the logical path. September 2017 Update: Nothing new. The National Independent Soccer Association announced its first batch of eight applicants. Charlotte, Chattanooga, Connecticut, Miami, Milwaukee, Omaha, Phoenix and St. Louis are the markets where investors have formally applied to join NISA. Investors in seven additional markets signed Letters of Intent to join the league as well. Not all of the eight applicants are for the 2018 season, and there are still some groups in discussions that could join for 2018. If there are not at least eight clubs ready to play in 2018, the league will launch in 2019. A potential 2018 NISA season could see clubs more spread out geographically than is in the long term NISA plan, but the league will provide financial incentives to offset the increased travel cost for teams participating in the initial season. NISA intends to fully populate at 24 teams, with two conferences each having two divisions, which will help reduce travel expenses and increase regional rivalries. NISA has so far spoken to investors in 45 markets interested in those 24 NISA slots. We will take a look below at who could be a fit for NISA, starting with the Applicants that are public, followed by the clubs that are linked in the press or on social media, and then finally in a more speculative category of who could fit well. As part of their plan to appeal to the community, Filipidis and his investor group plan to establish a Supporters Trust to take on a significant ownership stake in the club, estimated between 10-15%. Summary: Chattanooga FC expressed satisfaction with their current model in NPSL and dismissed talk of a move to a pro league in the past, however there was never a league like NISA as an option before. When asked about a potential move up to NASL or USL last October, Chattanooga GM Sean McDaniel told us, “To go up a level, we have to really ask ourselves what do we hope to do with this. A lof markets want to move up to try to land an MLS team. Chattanooga is not ever going to have an MLS team. So there is no hurry on our part to go up any levels. Our long term vision is to teach others in other cities how to do this the way we’ve done it so we can all play soccer in front of lots of people in the Summer. We are speaking with Peter Wilt as to what we want to do at an amateur club level compliments what he and Club 9 Sports are doing in terms of consulting at the professional level. “For a market like Nashville, they are making the right choice. That is a big league sports town. In Chattanooga, it costs $7 to show up to a soccer game. We don’t want to burden the fan by doubling or tripling ticket prices. We don’t want to “forget the date that brought us to the dance”, so to speak. We want to keep the right equation together in terms of cost and value. September 2017 Update: Chattanooga FC is among the official NISA applicants. 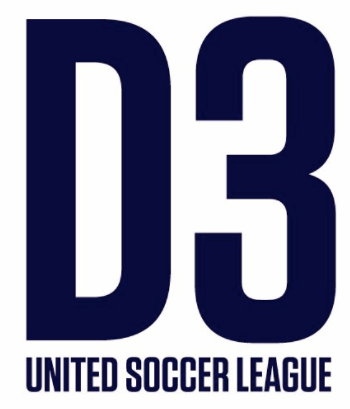 Chattanooga’s existing ownership group meets the requirements for D3, so they do not need to secure any additional investors for the move to NISA. Chattanooga FC has drawn crowds as large as 18,227 at Finley. The club’s average attendance in 2017 NPSL play was 4,182, already higher than many professional teams. Brian Straus of Sports Illustrated and Michael Lewis of Big Apple Soccer listed Hartford among the cities with expansion groups in discussions with the NASL. Straus mentioned the Hartford group as in advanced discussions with the league. Our sources told us the group is not Hartford City FC, the new club starting play in the NPSL this year, and that a Hartford NASL expansion team would be several years out. A renovated Dillon Stadium would likely be the target location of an NASL expansion team in Hartford, though any group looking to do that would have to contend with baggage left over from the prior attempt to renovate Dillon. September 2017 Update: It’s not clear where in Connecticut the NISA applicant intends to play, but Hartford is largest metro area and the city that has had the most pro soccer investor interest in the past. There was the whole debacle with the group that wanted to renovate Dillon Stadium (linked above), a USL group looking at Hartford at one point, and Hartford City FC of the NPSL has shown long term ambition to go professional. Another viable place for a NISA team in Connecticut would be New Haven, where the Elm City Express just one the national NPSL championship. It is worth noting that the Express’s investors own a professional team in Brazil, Clube Atlético Tubarão. So owning a lower league pro club in the USA would not be a stretch for them. Finally, a team Fairfield County, in either Bridgeport or Stamford, could draw from the northern edge of the New York metropolitan area. Summary: Of the eight markets NISA announced, Miami was perhaps the biggest surprise. Miami United FC has shown ambition in the past, however, once having signed Brazilian star Adriano. Miami United FC is owned by Italian entrepreneur Roberto Sacca. The club plays in Hialeah, at Ted Hendricks Stadium. The stadium appears to have the capacity to support a NISA club, though it is not yet clear that Miami United FC will play there in NISA. Summary: Early stage efforts are underway to bring a pro soccer team to Milwaukee. “Oakland and Milwaukee are at the very beginning – they are among the dozen markets we’re having discussions,” Peter Wilt shared in his interview with Midfield Press. September 2017 Update: Professional outdoor soccer is a big step closer to coming back to Milwaukee, with the city announced as one of those with an investor group applying to NISA. Midfield Press understands that the NPSL’s Milwaukee Torrent are not part of the NISA group. Pendrill might find kindred spirits in another group that is looking to bring pro soccer to Omaha. National Sports Services has tapped Ren Smith, a former executive with the Omaha Nighthawks UFL team, to do the work on the ground to bring a pro soccer team to Omaha. Smith has lined up investors, and met with potential venues including TD Ameritrade Park, Creighton University, the University of Nebraska at Omaha and the proposed Nebraska Multisport Complex in La Vista, according to the World-Herald. September 2017 Update: The World Herald reports that the Omaha NISA team will join the league in its inaugural season, whether that is 2018 or 2019. It says the the NISA team still needs to secure a lead investor. Meanwhile, the Omaha USL effort led by the Nebraska city’s AAA baseball owner intends to set up shop in 2019. Getting on the field in 2018 would give the NISA team a first mover’s advantage. Scott Taylor reiterated his intention to bring his club up to NASL to Midfield Press in our recent interview with him. “Rather than talk, we would rather show people what we can do. We definitely have a vision, and we plan to execute that vision based on what we know has worked with other clubs in other cities, but tailored to our market. We plan on doing things the first year right and seeing how the community responds at the gate. Yes, I have 2 very, very large local investors waiting to see how 2017 goes and if it goes well they are all in. September 2017 Update: Phoenix is one of the officially announced NISA applicant markets, and Midfield Press has a high degree of confidence that the Phoenix group is FC Arizona of the NPSL. FC Arizona owner Scott Taylor has spoken numerous times (see above) about his desire to take his club to a full season professional league. A subsequent Twitter exchange between the group and a fan indicates they are continuing to work on plans for a professional soccer team in St. Louis, though they are holding off announcing anything to not distract from the MLS bid. With the St. Louis MLS bid fizzling out after the ballot measure to fund a stadium failed, the opportunity could emerge for the Foundry STL group to pursue their plans to bring a high level of soccer to the city. Given that the SC STL group is the preferred MLS bid and that Saint Louis FC already exists in USL, NASL or NISA would seem the obvious choices if Foundry St. Louis were to launch their own pro soccer team. September 2017 Update: NISA announced St. Louis as a market with an investor in its first batch of applications. This lines up with previous comments from former MLS bidders Foundry St. Louis on their intent to start a professional soccer team in the city. Summary: In an interview with Midfield Press, FC Buffalo indicated that they are actively pursuing investors to help them take a step up to professional soccer. A Buffalo NISA twitter account appeared online, suggesting there may be a group looking to bring pro soccer to the western New York city. September 2017 Update: Buffalo was not one of the initially announced NISA applicants, though they are a good bet to be one of the markets with a letter of intent for 2019. One possible location in Northern New Jersey would be Paterson, a Passaic County city situated along Route 80 with a population of nearly 150,000 unto itself and highly accessible to Bergen and Morris Counties. Paterson has a redevelopment plan for a downtown mall that includes building a 7,000-10,000 seat soccer “arena.” “They’re doubling down on their investment,” city economic development director Ruben Gomez said of the mall’s owners. Alternative ideas to the soccer venue would be a casino or medical marijuana treatment facility. The A’s have been one of the better drawing teams in NPSL for several years running. Their attendance took a bit of a hit in the year the Tulsa Roughnecks debuted in USL, but rebounded the season after according an interview with Midfield Press. Summary: Albion SC operates a large youth academy and an NPSL team called Albion SC Pros. Starting the NPSL was a step towards their next goal, creating a full season professional side to give them a full development system from youth ranks to pro soccer. Albion SC CEO Noah Gins spoke about the club’s pro soccer intentions in an interview with Midfield Press back in January, when Albion was bidding for a club in the NASL. 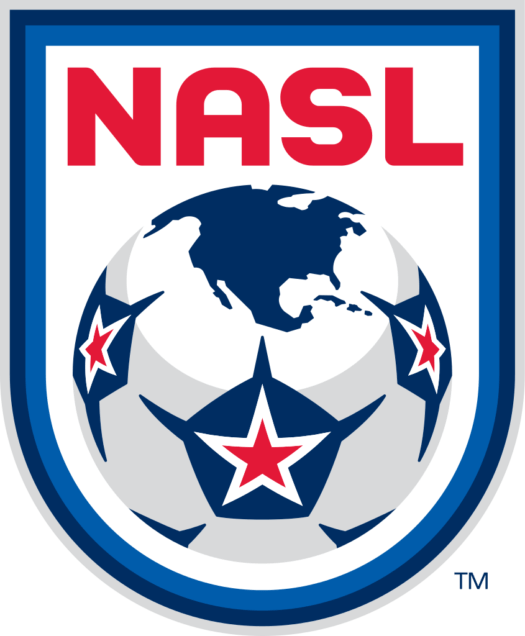 NASL interim commissioner Rishi Sehgal acknowledged that the league had been in discussions with two groups in San Diego when speaking with Neil Morris on the Inverted Triangle Podcast. 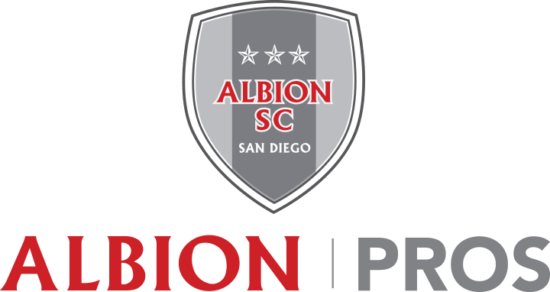 While the Mind Soccer Group won the San Diego NASL bid, Midfield Press understands that Albion SC remains a club with ambitions in professional soccer and thinks that NISA could be a good fit for them in the future. 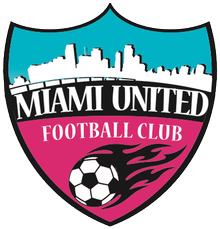 September 2017 Update: With Miami United FC among the initial NISA applicants, the league is demonstrating that it will take teams in a current NASL market. This could open the door for Albion SC, who could eventually see their NASL ambitions realized via joining NISA and winning promotion to NASL. Like the Miami FC owners, the San Diego NASL owners have expressed support for promotion and relegation. More on Albion SC: Albion SC Pros official site. Boston was cited as one of the MLS markets that is underserved by its club in Peter Wilt’s article for Howler Magazine last Fall, and Boston City FC is a club that has shown ambition, opening up a second team in Brazil. Could Boston City be a fit for NISA? Tornberg spoke about a changing landscape, and NISA is part of the new landscape going forward that could be appealing to an ambitious club like Boston City. Dayton, Ohio has been home to a Division III team once before, in the form of the Dayton Dutch Lions of USL. The Dutch Lions moved back to PDL years ago. Could Dayton’s next shot at the pro game come from the NPSL’s Dynamo? Dayton is within driving distance of some of the best attended soccer teams in Division II, with FC Cincinnati only an hour away, and Indy Eleven and Louisville City within two and a half hours drive. If the Dynamo could tap into a little of that magic, they could make it in DIII. In a Twitter exchange, the Electric City Shock of Scranton, PA indicated they have an investor to support a move up to the professional ranks, however venue options in the area are an issue. The Scranton, PA metro area has a population over 500,000 and has supported AAA baseball and AHL hockey for many years, so it is not a stretch to think it could support professional soccer at a Division III level. Land in the area is pretty abundant, so a modular stadium solution could be a good fit here. Summary: Celtic-affiliated Lansdowne Bhoys of the Bronx/Yonkers area of New York indicated an intention to go pro by 2018 amidst their US Open Cup run. It is unclear that USL would accept a team that is essentially in the backyard of NYCFC, so NISA might make the most sense for the Bhoys. September 2017 Update: The Lansdowne Bhoys continue to be one of the most successful US soccer teams outside of the full season professional and NPSL/PDL/UPSL ranks. They won two major amatuer Cup tournaments, including the Werner Frick Cup and the U.S. Amateur Cup, which had the L.A. Wolves as a semi-finalist. The Wolves were managed by Eric Wynalda and are closely linked with California United FC, the new NASL expansion team, featuring several players who will make the move up to the NASL next year. They’ve also won several smaller cup competitions in their campaign this season. Little Rock may be an ideal example of a Division III market. The Rangers have a great venue at their disposal in War Memorial Stadium. The team has drawn well in their first two years of NPSL, so reaching the 3,000 per match mark of sustainability in the NISA model is not a stretch. There is not a lot of professional sports competition in the 700,000 person metro area. The Rangers would need to add an investor who met DIII standards to make the leap, but there are a lot of puzzle pieces in place already. 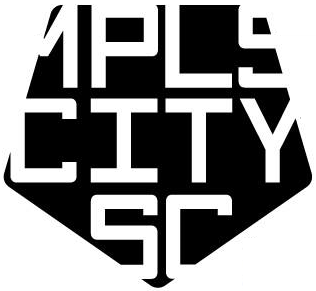 Summary: Like the Kingston Stockade, Minneapolis City SC has been very open with its numbers in an effort to help others that wish to start soccer clubs across the country. While nothing is imminent in the near term, Minneapolis City SC outlined what it would take for the club to go professional in a league like NISA in a recent article reviewing their 2017 season. It’s a worthwhile read for anyone who is interested enough in this topic to be reading this sentence, so go check it out. While a professional move is currently outside of the club’s capabilities, co-founder Dan Hoedeman writes that he thinks the Minneapolis-St. Paul market could support a successful professional minor league team, similar to how the St. Paul Saints of independent baseball thrive alongside the MLB’s Minnesota Twins. We agree with his assessment and hope MCSC can make it happen in time. Summary: Jonathan Tannenwald reported that the owner of the American Soccer League’s Philadelphia Fury, which plays in the South Jersey suburb Glassboro, is looking to partner with investors to bring a NASL team to the Philadelphia market. 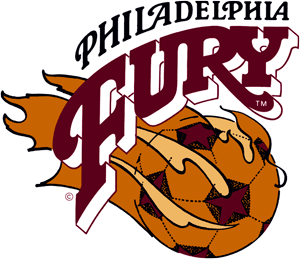 The Philadelphia Fury is a classic NASL brand. Midfield Press connected with Philadelphia Fury owner Matt Driver in September for an interview updating the status of the club’s NASL ambitions. Driver continues to work on getting investors for a NASL move but there is currently not investment in place. He is working with Jack Cummins and Club 9 Sports as consultants to help him with his NASL plan. Last year, Evan Ream reported that San Francisco City FC had new investors that intend to take the team to a professional league by 2018. San Francisco City FC reiterated their long-term professional ambitions in an article with the San Francisco Examiner earlier in July 2017. The Examiner piece cites a desire for the club to join USL and later MLS. 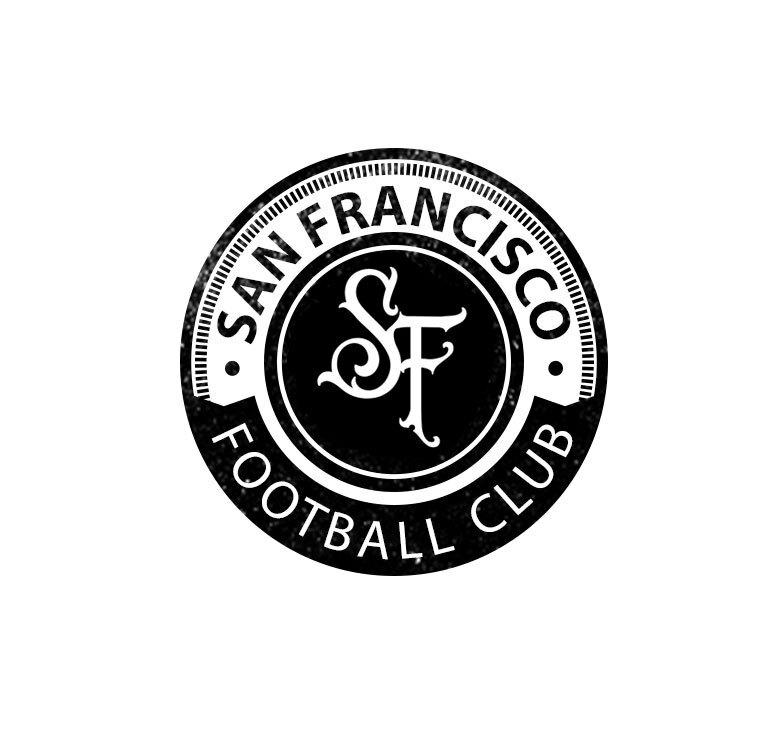 However with the recent announcement that San Francisco FC is in advanced negotiations with that league, SFCFC may have to look elsewhere. With the Deltas in NASL, and the future San Francisco FC having the inside track on USL, NISA may end up looking like the best fit for San Francisco City. An area where NISA and SFCFC are aligned is the idea of supporter ownership in the club. September 2017 Update: Similar to what I wrote about San Diego above, with Miami United FC joining NISA in an existing NASL market, it could be feasible for San Francisco City FC to do the same. Like the owners in San Diego and Miami, the San Francisco Deltas owners have spoken in favor of promotion and relegation. The Deltas owners have also spoke of welcoming other teams to join the market, seeing it as additive. The United Soccer League announced expansion clubs in Las Vegas and Birmingham in August, along with the 2019 return of a USL club in Austin. The Las Vegas Lights FC will join USL in 2018, along with Fresno FC and Nashville SC. Birmingham will join USL in 2019 along with Austin. By the time 2019 rolls around, the USLD2 will likely be organized into three conferences, with plans in play to create a Central Conference, according to NewsOK reporter James Poling. The model Reno and Rio Grande Valley operate under is very similar to minor league baseball. These similarities between USL’s model and minor league baseball only seem to be growing. Reno plays in an AAA park and shares an ownership with the Reno Aces baseball team. All three USL franchises starting in 2018 will play in AAA baseball stadiums, and Birmingham for 2019 includes the local AA baseball Barons owner in the investor group. Seattle Sounders 2 will migrate to the Reno model by 2020 in partnership with the AAA baseball owners in Tacoma. El Paso’s AAA baseball team owners are looking to bring a USLD2 club to that city, and there are similar efforts in Omaha and Memphis. USL’s repeated collaboration with AAA baseball makes sense, because these owners already support minor league sports, have some business operations that will overlap, have relevant local sponsor and government relationships, will often meet the net worth requirements and have access to a venue that is likely work if a soccer specific stadium cannot be built. USL will have to manage the gap between its independent owners who value filling stadiums and creating a strong fan experience, with MLS clubs focused on development with their “2” sides, as exemplified by NYRBII coach John Wolyniec’s comments on SiriusXM that player development is more important to the team than winning. To be fair to Wolyniec, his club managed to do both last season when it won the USL title. Meanwhile, USL President Jake Edwards told Soccer Nation that the DII league was entering its final phase of expansion. “The group of owners we have continues to evolve and improve,” he said. “There’s a few markets we really have our eye on, and I know there’s a couple of markets that’s going to surprise us as well.” Edwards told Soccer Nation’s Kyle Kepner “possibly” when asked if some clubs could join from the NASL again after this season as Tampa Bay and Ottawa did after 2016. However, our NASL sources believe that unlikely. While expansion may be coming to its final phase in USLD2, USLD3 is just getting started. USL executive Steven Short is spearheading the effort to start the D3 league up, and has been on a tour of cities in the Southeast and Midwest and the league looks to establish two regional divisions to start play in 2019. Cities Short has visited include Greenville SC, Columbia SC, Lexington KY, Asheville NC, High Point NC, Fayetteville NC, Knoxville TN, Dayton OH, Toledo OH, Fort Wayne IN, Lansing MI, Grand Rapids MI and Des Moines IA. Since USL seems to be systematically targeting AAA/AA baseball owners to populate D2, it would be wise to keep an eye on it doing the same at the AA/A baseball level in D3 markets. In the USLD3 section below we will only focus on markets that have an investor group or existing PDL club interested in joining USLD3. The Fresno Bee reported that the USL has approved a bid from local businessman Ray Beshoff to bring a Fresno team to USL Division II in 2018. Beshoff told the paper that he paid a $5 million expansion fee. “Everything ended up great,” Beshoff told the Bee, “and now we’re excited and going to spend the next couple of months bringing together a world class club.” Beshoff started to fulfill that promise by signing veteran soccer executive Frank Yallop as the team’s General Manager. Previously, Evan Ream reported on Twitter that the USL will likely expand to Fresno for the 2018 season, and that the group will not be the PDL Fresno Fuego. 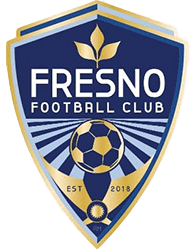 Bill Reese reported on Reddit that the group has registered the name Fresno FC along with a potential crest the club could use. It remains to be seen if this is the final name for the club, although that typically is the case when trademarks are registered. September 2017 Update: Fresno FC is officially confirmed as the club’s name. They will play their games at the AAA baseball stadium Chukchansi Park, which has also served as home to the PDL’s Fresno Fuego in recent years. Fresno FC and the Fuego will form a partnership. They published a FAQ for fans that covers issues from season tickets, to front office job postings, to player tryouts, to sponsorship opportunities. Las Vegas Soccer LLC will launch a USL team for the 2018 season. The final hurdle for the group was cleared when the Las Vegas City Council approved its use of Cashman Field. The USL club will serve as secondary tenants in the facility to the AAA baseball Las Vegas 51s, and will cover the costs of converting the field between sports during the season. 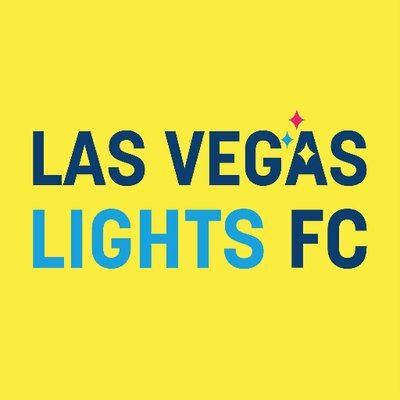 Las Vegas Soccer LLC was previously reported to have trademarked the name Las Vegas Lights, however there will be a naming contest to determine the ultimate name of the club. September 2017 Update: The Las Vegas USL team is confirmed, and it will be called Las Vegas Lights FC. More on Las Vegas Lights FC. Nashville SC’s MLS ambitions got a boost in July when Don Garber came to town and said, “Over the last six months, Nashville has really risen pretty high on the list.” In addition to learning more about Nashville’s expansion bid, the MLS commissioner was in town to catch the US-Panama Gold Cup match, which served as a showcase for the team in the market. September 2017 Update: While Nashville SC looks into building a permanent soccer specific stadium for its MLS ambitions, it will get started off in USL in the local AAA baseball stadium. 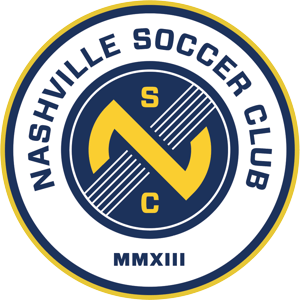 “It’s going to be a great environment, intimate viewing opportunity for the spectator, and an opportunity for us to create a great soccer experience both in size and proximity to the field,” James Cannon, vice president of marketing and communications with Nashville SC told the Tennessean. The club released renderings of what the soccer field will look like at First Tennessee Park. It also bolstered its MLS bid with the addition of Minnesota Vikings NFL owners, the Wilf family, the ownership group. The Wilfs lost out on the bid to bring an MLS team to Minnesota previously to Minnesota United FC. Summary: Professional soccer is on its way back to Austin, although the Aztex brand is not coming back. 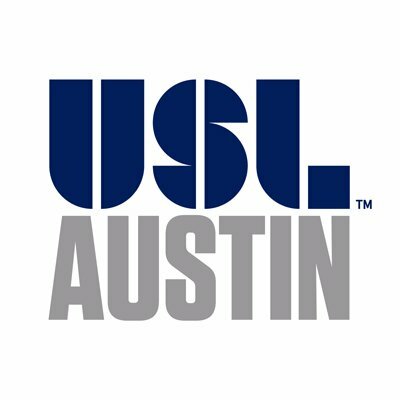 The Austin Aztex have been on-hiatus from USL since the 2015 season, citing the lack of a suitable facility to play in as the issue keeping them off the field. Owner Bobby Epstein is resolving that issue by building a 5,000 seat soccer stadium on site of his Circuits of the America racetrack, on the Southeastern outskirts of Austin. Epstein personally responded to a fan blog article with concerns about the location, saying that a downtown stadium would have been cost prohibitive. The location is near the Austin airport, and about a 20 minute drive from downtown. Interesting, Major League Soccer moved to trademark several names for a potential Austin team, which would seem to unnecessarily limit the USL club’s options given that Austin is not in the next round of USL expansion candidates. Austin FC and Austin Athletic are the names locked up by MLS. More on the Austin USL team. Summary: Scratching The Pitch reported Birmingham, Alabama as a potential USL city along with their own rumors on Nashville and San Diego USL teams. The site reported that a link between the Birmingham Hammers NPSL team and the USL bid is not evident. Nipun Chopra of Soc Takes reports that Birmingham and Memphis are USL targets as the league seeks to expand its footprint in the Southeast. A Washington Post interview with Jake Edwards in May stated that Birmingham was expected to finalize a deal this summer to join USL for the 2019 season. 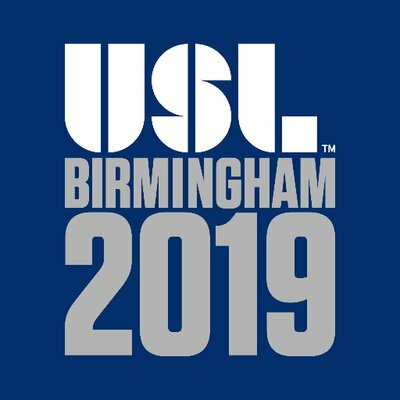 Birmingham mayor William Bell told the Birmingham Business Journal that “details are still being worked out at this time” on a USL team that could start in 2019. Open issues include the venue the team would play in, according to the Business Journal report. The mayor hopes to be able to participate in an announcement in the coming months. September 2017 Update: Birmingham to USL became official in August. The Birmingham USL team will be owned by local businessmen Jeff Logan, co-owner of the Birmingham Barons baseball team; James Outland, founding and managing partner of New Capital Partners; and Lee Styslinger, III, chairman and chief executive officer of Altec, Inc. Morgan Copes, of the Birmingham Hammers NPSL team, will serve as a Vice President for the club. The Birmingham NPSL team will move to PDL next season as part of this arrangement. The Birmingham USL’club’s venue has not yet been identified, but as the owner of the Birmingham Barons AA team, Logan could help secure the club as a co-tenant in Regions Field. Regions is a relatively new downtown stadium that seats 8,500. While the Birmingham Barons may be a AA baseball club, they are also a historic club and operate at a high level. The Barons are the team Michael Jordan played for during his sabbatical from the NBA. Morgan Copes did a video interview that has some additional detail, such as that the team wants to play downtown. The team name, color scheme and venue announcement are expected in the coming months. Copes did not reveal if the Birmingham Hammers name was under consideration. More on the Birmingham USL team. Summary: The Sounders have signed a memorandum of understanding with the Tacoma Rainiers AAA baseball team to develop a 5,000 seat soccer stadium that would serve as the future home of the Sounders USL team, according to USLsoccer.com. The club would transition to a model similar to Reno 1868 and Rio Grande Valley FC, where the Rainiers would run the business operations and the Sounders would run the soccer operations. 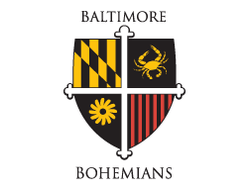 Summary: Paul Tiburzi, a lawyer and the former chairman of the Camden Yards Sports and Entertainment Commission, is a leading figure the effort to bring a USL team to Baltimore. The target start date for the team is the 2020 season, which would give the group time to follow through on its plan to build a 8,000-10,000 seat stadium in the city. They are currently scouting the Fells Point and Canton areas for possible locations. In an article in the Washington Post in May, Steve Goff asked Edwards if expanding to Baltimore was a near certainty, to which the USL President said, “yes.” The Post article also indicated that the Baltimore group plans to start an academy. September 2017 Update: Nipun Chopra of SocTakes reports that Virtustream co-founder Kevin Reid is one of the investors behind the Baltimore USL initiative. MountainStar Sports Group is reportedly working to bring a USL team to El Paso. MountainStar owns the El Paso Chihuahuas AAA baseball team as well as FC Juarez across the Mexican border. 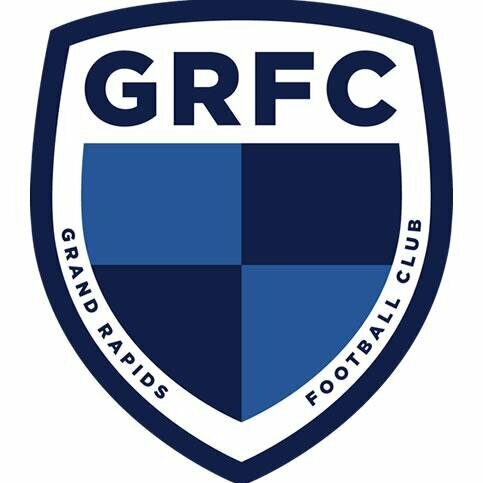 September 2017 Update: Midfield Press understands that Grand Rapids FC has spoken with USL, NASL and NISA as the club looks to secure investors for a professional move. September 2017 Update: Omaha is one city where USL may be beat to market by NISA. In an article on the Omaha NISA team, the World Herald says that Gary Green intends to launch the USLD2 Omaha club in 2019. 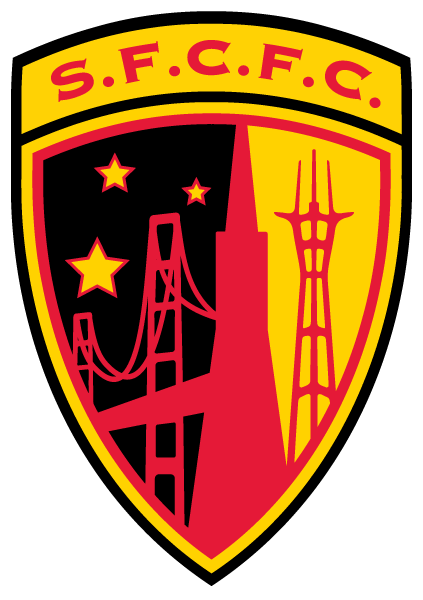 Summary: SocTakes broke the news that Jordan Gardner of the Burlingame Dragons is partnering with Zappos founder Nick Swinmurn to bring a USL team to the San Francisco Bay Area. The club, to be called San Francisco FC, is targeting a 2019 start so that it can take time to find the right venue for its needs. The group is looking at constructing a modular stadium in either San Francisco or in San Mateo County, where the Dragons currently reside, and hopes to leverage local rivalries in USL with Sacramento, Reno and the upcoming Fresno team to help build the fan base. The San Francisco Chronicle reports that the team is looking at a parcel of land just south of San Francisco International Airport, near Bayside Park in Burlingame. The plan for the site would include a 6,000 seat stadium, expandable in case additional capacity is needed in the future, and possibly with views of the San Francisco Bay. September 2017 Update: San Francisco FC owner Nick Swinmurn gave a far reaching interview to the American Pyramid Blog that covers a lot of topics, and gives a fresh take on the vision for the club. Highly recommended reading. Summary: Midfield Press has learned that there is a group talking to USL about bringing a Division II team to Cleveland. It is not apparent that the Cleveland group has any connection to the one Peter Wilt mentioned previously. The USL group’s team would not start play in 2018, and is an effort for 2019 or later. We will provide more details in a future update. September 2017 Update: The Cleveland USL group continues to work towards bringing pro soccer to the city. FC Dallas has been rumored to be interested in starting its own USL squad for a while. Jason Davis reported that Dallas’s reserve squad may debut in either 2017 or 2018. Will Parchman reported that Dallas has preliminary plans to put a team in USL in 2018. Summary: DC United is planning to launch a USL reserve team in 2018, according to a report from Steven Goff of the Washington Post. The model for the USL franchise would follow New York Red Bulls II. Steven Goff included a bit on DC United II in his article on USL expansion, indicating that DC2 could join USL DII or DIII, and that the likely locations are George Mason University or a location in Loudoun County. “We continue to work through that project with D.C. United,” Jake Edwards said. “I know they’ve got a lot going on right now with the new [MLS] stadium, but they did submit a nice application to us. It might take a little bit longer than all parties expected, but they remain committed to it. Clearly if DC United II joined USL in 2018, it would be a DII team. September 2017 Update: Nipun Chopra of SocTakes reports that DC United II will likely play out of a to-be-built modular stadium in Loudoun County, VA. The article states that there is still a chance DCII could start play in 2018. Summary: Nipun Chopra of Soc Takes reported that Birmingham and Memphis are USL targets as the league seeks to expand its footprint in the Southeast. September 2017 Update: Nipun Chopra of SocTakes reports that the AAA baseball Memphis Redbirds ownership is behind the effort to bring USL to town. The report suggests the club would start off in 2019 in the AAA baseball stadium, AutoZone Park, with the potential of moving into its own soccer-specific park in the future. Summary: Nipun Chopra of SocTakes reports that Minnnesota United FC is looking at placing a MLS2 team in Richmond, Minnesota, which is near St. Cloud. Albuquerque Sol owner Ron Patel continues to make progress on his efforts to bring a soccer specific stadium to town to support the addition of a USL club. According to KRQE, the city will spend $15,000 to investigate the benefits of a stadium. September 2017 Update: The city of Albuquerque’s feasibility study estimates a cost between $24M-$45M for a 10,000 seat stadium, depending on whether the stadium is built near downtown, according to a KRQE report. The economic impact of the stadium is estimated at $42M during the period between 2021 and 2025. Albuquerque Sol owner Ron Patel sees the stadium being financed through a public-private partnership. He also suggests that a smaller stadium could suffice, but that the city wanted to see what a 10,000 seater would look like. Amarillo: Amarillo, Texas could be a candidate for a USL team in the near future. As AAA baseball moves into San Antonio, the city’s current AA franchise is relocating to Amarillo. With that comes the need for a stadium, and the stadium project is being built with soccer in mind, according to a Soccer Stadium Digest report. The ownership group behind the Amarillo AA effort is the Elmore Group, who until recently owned the SoCal Sports Club of NPSL before pulling the plug on the team after this past season. The Elmore Group also has an ownership stake in Lane United of Eugene, Oregon, who are looking at USLD3. Bahamas: Local businessman Burton Rodgers is leading an expansion effort to bring a USL team to the Bahamas, according to a report in Tribune 242. The prospective club would play in 15,000 seat Thomas A. Robinson Stadium, in Nassau. Rodgers’ group is working with Anschutz Entertainment Group, the government, the National Sports Authority and the Bahamas Football Association to bring the vision to life. One drawback to the group’s plans is that the island nation has a population of just under 400,000, well short of USSF Division II standards. “Mr Rodgers is in the midst of preparing a bid to attain a pro franchise for the Bahamas and AEG is fully committed to assisting him in ensuring that he has the best means and support to bring a said franchise to the Bahamas and we are very excited to assist in that regard,” Alan Kates, Managing Director of AEG Bahamas, told The Tribune. “I would say that there are numerous hurdles to cross and I know that Mr Rodgers is preparing with the assistance of some wonderful global supporters to ensure that the best possible presentation is made to the USL and to ensure that he has the best bid to see. The Bahamas group is targeting a 2019 kickoff in USL. Boise: Boise could be the home of a USL team soon, either an independent club or a Portland Timbers affiliate. T2 and Swope Park Rangers played a match in Meridian, Idaho, near Boise, to test the market. The owner of the Boise Hawks minor league baseball team is looking to build a new 5,000 seat ballpark in downtown Boise that is touted as also being a potential home for a minor league soccer team, based on a report in the Idaho Statesman. Fort Wayne: The former owner of the PDL team the Fort Wayne Fever, Bobby Poursanidis, is looking at bringing professional soccer to the Indiana city, according to the Journal-Gazette. Poursanidis is considering both Division II leagues as well as USL DIII and NISA. Lane United’s investors include the Elmore Group, who are also behind the potential Amarillo, Texas project. Lansing United: Lansing, Michigan was another step on the USL’s DIII tour, and Lansing United of the NPSL could be interested in a move up to a Division III league, according to the Lansing State Journal. NISA is also a possibility. Long Island Rough Riders: Peter Zaratin, president of the Long Island Rough Riders, proposed to build a $8M-$10M soccer complex on the grounds of Suffolk Community College with the intent of sharing the facility between a Rough Riders USL team and the school, according to a report in Newsday. “We are looking to be a feeder for Major League Soccer,” Zaratin told the paper, adding, “Long Island does not have the demographics for a major-league team.” The Rough Riders would be looking to fund the project with a public-private partnership that did not require any funds from the college, and would be looking for a 40 year lease and a revenue sharing agreement on tickets, food and retail sales. Investors would include Mitchell Rechler of Rechler Equity Partners and David Howard, a sports executive who has worked for the New York Mets and served as president of MSG Sports. A USL club on Long Island could tap into some of the fan base left behind by the New York Cosmos, who moved to Brooklyn. Tormenta FC unveiled stadium renderings for a complex it plans to build in Statesboro, Georgia. The facility would be built with 5,000 seats and would be expandable to 10,000. Rick Schantz resigned as the head coach of FC Tucson to take on an assistant coaching role with Phoenix Rising FC. Schantz will remain in the ownership group of FC Tucson. September 2017 Update: SocTakes reports that FC Tucson’s ownership group were looking into the costs of running a USL franchise late last year. FC Wichita: FC Wichita has ambitions to join USL, according to the Wichita Eagle. The NPSL just finished up a successful regular season in the semi-pro league. In an interview earlier this year with Midfield Press, Shumaker spoke of potential investors to help with a professional move and stadium upgrades planned to support a professional soccer atmosphere. Garber was interviewed at the MLS All-Star Game halftime by Taylor Twellman, and praised the expansion bids in Sacramento, Cincinnati, Tampa Bay, Nashville, Raleigh, Detroit, and Charlotte. 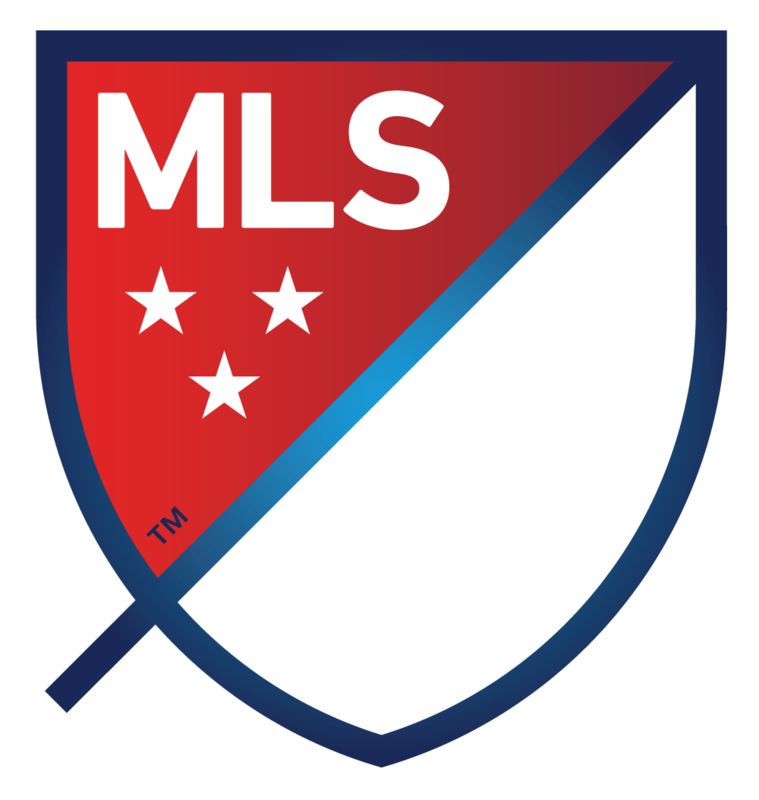 Midfield Press continues to believe two factors are most important for the 12 applicants looking to land an MLS expansion team: ability to get a soccer-specific stadium built, and television market size. But don’t take our word for it. “If a very promising market can’t have a stadium, they’re not going to be an MLS expansion team,” Don Garber said while visiting Nashville in July. Sacramento Republic began pre-construction efforts at its Railyards stadium site, to keep the club on track for a 2020 debut in Major League Soccer, according to the Sacramento Bee. Sacramento is making our strongest statement yet about our commitment to MLS,” owner Kevin Nagle said to the Bee, saying the he’s more optimistic than ever about landing a spot in MLS. Don’t count St. Louis out of the MLS running just yet. A league source told the St. Louis Dispatch that if the STL SC ownership group can find a way to get approval to build a stadium, the chances are 99% that their bid would be accepted. Prospective Detroit MLS owner Dan Gilbert of Rock Ventures made progress in his efforts to get the city to exchange an in development jail site with another parcel of land, according to the Detroit Free Press. Phoenix is narrowing down the details on its stadium plan, according to Soccer Nation. Nashville added the Wilf family, owners of the Minnesota Vikings of the NFL, to their ownership group, strengthening the bids major league sports credentials. The Wilfs were the runners up for the Major League Soccer team in Minnesota. The Tampa Bay Times reported that there is concern locally over what happens to Tampa Bay’s MLS bid if a verdict on a whistleblower case goes against Rowdies owner Bill Edwards. Wells Fargo settled their part of the case for $108M, leaving Edwards as the sole remaining defendant. The Times reports that the plaintiffs are arguing that they should be able to go after Edwards’ personal assets. FC Cincinnati president Jeff Berding spoke about the club’s MLS bid with Neil Morris on the Inverted Triangle Podcast. On the issue of the stadium, Berding told Morris that the club’s first choice is to build in Cincinnati, and they are confident they can get that done. However, if they cannot, they have a Memorandum of Understanding to build a stadium on the Kentucky side of the Ohio River, directly across the river from the Cincinnati Reds stadium. Tax Increment Financing available on the Kentucky site would close the funding gap needed to get the stadium done. San Diego appears to be all but out of the running for teams 25 and 26, since their stadium plan will not be put on the ballot until November 2018. Charlotte’s MLS bid presented to the mayor and City Council in preparation for a revised request for stadium funding. MLS Charlotte investor Marcus Smith plans to put up half of the money needed for a stadium, and wants to get the other half from the city and county. This meeting with the mayor and city council comes on the heels of a visit to the city by MLS executives. North Carolina FC unveiled its plans for a downtown Raleigh stadium site during MLS’s visit to the area. WRAL reports that the North Carolina FC stadium plan does not include taxpayer funding at this time, though they may look at asking to tap into funds from prepared food and beverage taxes that is meant to aide downtown development. The Raleigh site is current government land, and the team would need to lease the land from the government under terms not yet determined. Indy Eleven’s MLS hopes still look grim after the Indiana State Assembly concluded its session without passing funding for a stadium. With some bids dropping off for berths 25 and 26 and repositioning themselves for spots 27 and 28, we’ve split the categories up to reflect who are contenders for both rounds and just the later round. As we focus our efforts on growth at the DII and DIII level, Midfield Press recommends checking out Blue Testament’s MLS expansion coverage. The Canadian Premier League is official. Hamilton and Winnipeg FC were the first clubs confirmed during the historic announcement of the league, which will have Division I status in Canada. Some Canadian Premier League details emerged from the lead up to the New York Cosmos v Valencia CF friendly in Regina’s Mosiac Stadium. 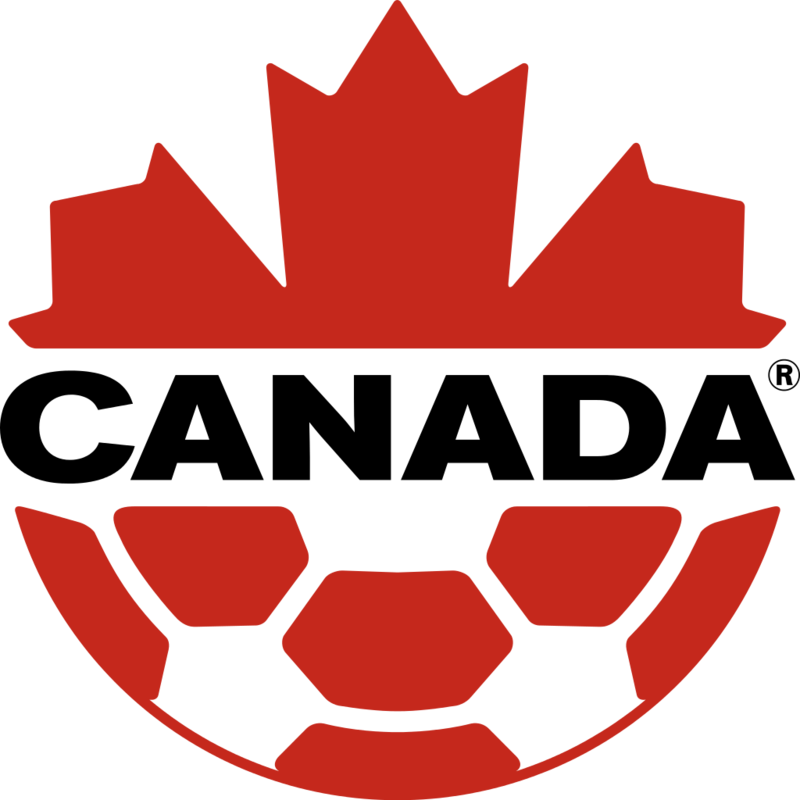 The CanPL’s tentative start date is July 22, 2018, the week after the World Cup concludes, if plans come together an original six clubs. If not the debut could push to 2019. A Saskatchewan club will not be among the first six that could start in 2018, according to the club’s investor Joe Belan as reported by Juneof86.com. Hamilton and WInnipeg are likely among the six teams. FC Edmonton of the NASL and the Ottawa Fury of USL would be the most ready-to-go organizations if they could be persuaded to join a shortened CanPL season and delay their 2018 starts from March, when the NASL and USL kick off, to July. Toronto FC, the Montreal Impact and the Vancouver Whitecaps will remain in Major League Soccer and would not be candidates for the original six. Duane Rollins reports that the Canadian Premier League may play in a single table format versus having playoffs. Previously Rollins reported that the CanPL may implement promotion and relegation after hitting 16 teams. A lawsuit between the Hamilton Tiger-Cats organization and the city of Hamilton over Tim Hortons Stadium could impact the Ti-Cats owned soccer team’s readiness for the Canadian Premier League, suggests the CBC. The friendly between the New York Cosmos and Valencia CF in Regina’s Mosaic Stadium was a success, drawing 15,000 people. The event could influence where the first Saskatchewan CanPL team lands, though in the long run both Regina and Saskatoon are likely to have teams in the league, according to Saskatchewan bid leader Joe Belan as reported by Juneof86.com. A Saskatchewan team would not be one of the league’s original six to potentially start in 2018. The owners of the new National Basketball League franchise in St. John’s have an interest in bringing a Canadian Premier League team to town. The Halifax CanPL bid ran into some issues with the modular stadium plans, though given how quickly those pop-up stadiums can go up, it is not clear that this would actualize jeopardize them for a CanPL start date of August 2018 or Spring 2019. While the Calgary Sports & Entertainment Corp, which owns the Flames NHL team and Stampeders CFL team, might be the most logical investor for a Canadian Premier League club in the Alberta city, the PDL Calgary Foothills organization continues to lead the way developing soccer locally with an eye towards a pro move in the future. Former Canadian international Rob Friend has been linked to an effort to bring the CanPL to Fraser Valley. PDL club K-W United would like to bring CanPL to the Kitchener-Waterloo region. Other possibilities could include Victoria, Quebec City, Moncton and a team in the greater Toronto area. Toronto FC has expressed interest in having their reserve team join, however the Canadian Premier League is reportedly not interested in MLS reserve teams. For more coverage on the Canadian Premier League, Midfield Press recommends checking out The Northern Starting Eleven’s monthly CPL updates.